Now on Amazon for $0.99! 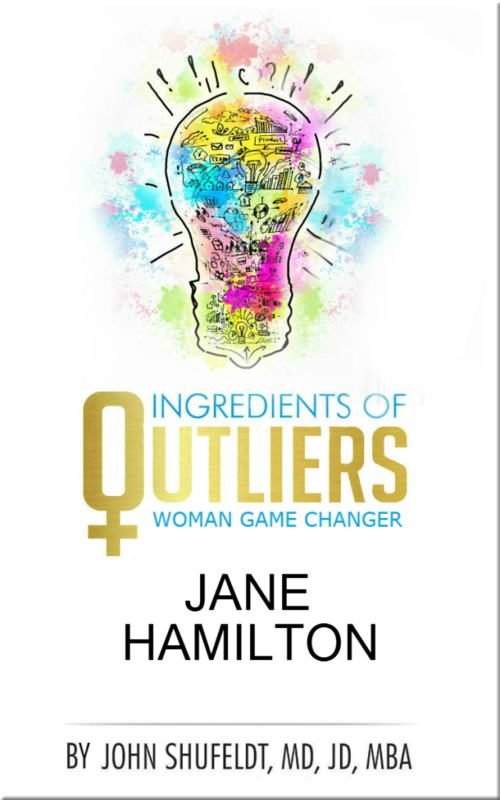 Ingredients of Outliers: Woman Game Changer Jane Hamilton highlights one of the six outliers profiled in Ingredients of Outliers: Women Game Changers. 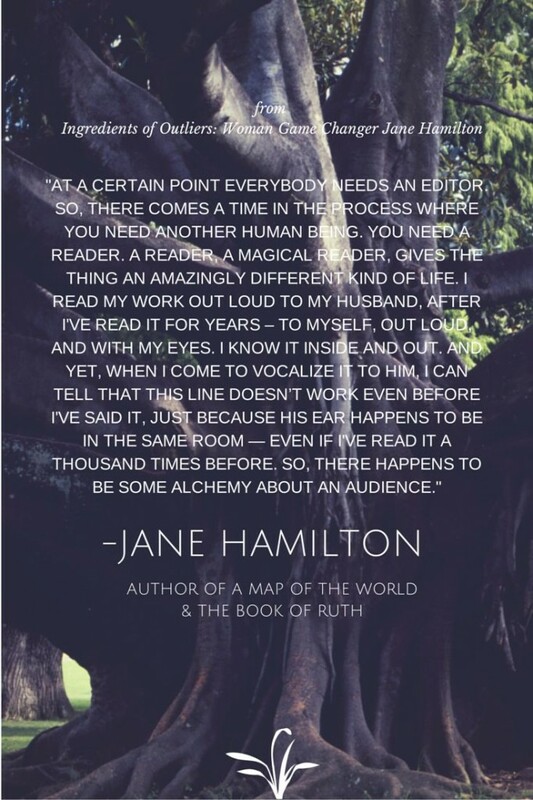 In this edition, get to know award-winning novelist Jane Hamilton, author of the Book of Ruth and A Map of the World, which both were selected as part of Oprah’s Book Club. Widely acclaimed and honored for her literary achievements, Jane would say her career as an author is something that “happened” to her. As described in this exclusive feature, Jane’s life experience as a mother and wife intertwined with what she thought was her hobby and became her career, is the bones of a great novel in and of itself. Take a look inside with Jane Hamilton, for food for the writer’s soul, which will touch the student in us all. Readers can expect to delight in her imagination and heartwarming self-acceptance of her real-life missteps. 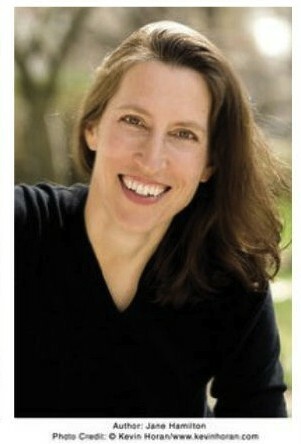 Those who aspire to be outliers can surely look at a map of her world. which will touch the student in us all. Read about Jane and other exceptional women in the upcoming book, Ingredients of Outliers: Women Game Changers, set to publish in the summer of 2014 as part of the Outlier Series by Dr. John Shufeldt. The series also includes Ingredients of Outliers: A Recipe for Personal Achievement and Ingredients of Young Outliers: Achieving Your Most Amazing Future. The Outlier Series will include at least 12 other books published over the course of 2014-2015, specific to sought-after career fields. Each book will include insider information and recommended channels for pursuing the featured career from experts in their respective profession.